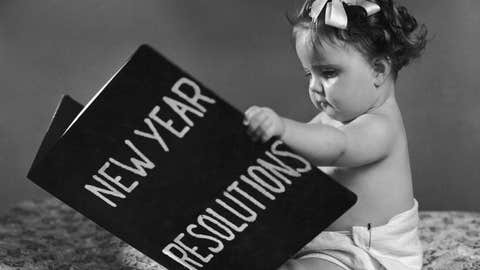 Athletes can act like babies, so here are some of their New Year's resolutions. It’s New Year’s resolution season, which can be duller than a Bill Belichick press conference. You know — lose weight, stop smoking, spend more time with family. All are worthwhile, but hardly unique. Fortunately, the sports world had some interesting developments in 2013. That has led to some interesting resolutions for 2014. We can’t say the people on our list have definitely resolved to do these things. We can say they definitely should.